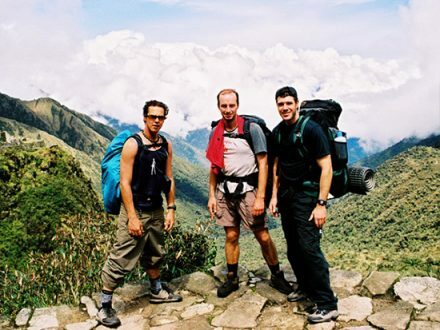 This tour is a combination of the Cusco City Tour, the Sacred Valley Tour, the full day White-Water Rafting, the Paragliding Flight over the Sacred Valley of the Incas and the adventure hike of the Inca Jungle Trail 4 days/ 3 nights. You will enjoy great opportunities to discover the enigmatic city of Cusco and the Sacred Valley, the adrenaline adventures as well as all the beautiful landscapes of the Andes and the exuberant tropics of the Cusquenian jungle close to Machu Picchu. The tour is combined with the charms of 5 nights at the Amaru Group Hostels. 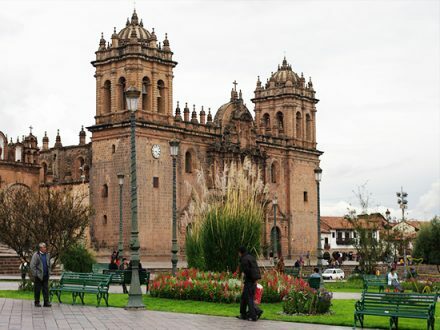 It offers you the perfect way to discover Cusco as you are in the safe tourist center of Cusco from where you can explore the most beautiful combination of Inca and Colonial architecture, while staying at the perfect location to reach everything you might need as souvenir shops and museums. We will recept you at the airport in Cusco airport and then transfer you to the Amaru Group Hostels. We recommend you get an early flight so you can spend the morning relaxing and acclimatising to the altitude (in case you are arriving from sea level)! The Sacred Valley tour starts at 08:00 am from Cusco. We pick you up from your hotel and bring you to our tourist bus, where you will meet your tour guide and your travel mates (shared service). We leave Cusco around 08:30 am in direction of Pisaq, descending to the sacred river Urubamba. With a few stops at various lookout points along the way, we will arrive at Pisaq where you can enjoy checking out the traditional handicraft market with plenty of time for local souvenir shopping. Afterwards, we drive up the mountain where we will find Pisaqs ruins. Our tour guide will take you around the temples, terraces and tunnels of this complex, including the famous Intihuatana (sun clock), while constantly enjoying the majestic view of the sacred river. Then we drive along the river Urubamba, passing by a colourful little town where you can observe the descendants of the Quechua people wearing colorful ponchos. We stop in the town Urubamba for lunch (we recommend a lunch buffet of Peruvian food). After a short rest we keep going until we reach Ollantaytambo, one of the last living Inca towns. You will be amazed by the impressive Temple of the Sun with its intricate stone worked details, the terraces which are constructed to sustain the mountain and finally the temple in shape of a llama. You will have a short time to explore this amazing complex with its beautiful water fountains by yourself. After exploring this magnificent complex, we take the road back to Urubamba and leave the river to go uphill to the beautiful fields of Chinchero. Here we will discover another amazing Spanish Inca complex and afterwards visit a weaving family who still uses natural minerals and organic ink to colour the wool. We will return to Cusco around 07:00 pm and leave you at plaza Regocijo. One of our most popular rafting sections during the season is the Cusipata section in the upper part of the Urubamba River. It is a scenic rafting tour, worth every minute! The Cusipata section is one of the nicest parts of the Urubamba River for doing white-water rafting activities, as it is less crowded,calm and cleaner than the Ollantaytambo part in the Sacred Valley. It consists of rapids that are graded II, III, and IV plus. All together, you will be in the water for about 2 and a half hours. Some parts will be for relaxing and soaking up the experience, and other parts for pumping up your adrenaline levels! We will pick you up from your hotel in the morning and reach the drop-off place at the shores of the upper Urubamba River, our private campground “CUSIPATA RIVER CAMP” after one and a half hours. Our professional rafting guides will give you a safety talk and provide you all the proper equipment for Rafting. We will be floating for approximately two and a half hours, running class II and III rapids. During the rainy season from december to early march, the rapids can be class IV and IV plus. Upon your arrival to the river, you will gear up with your wetsuits, helmets, waterproof jacket and life jacket. The guide will use that opportunity to give you a 15 minute safety briefing and provde you general information for rafting beginners (how to paddle, follow instructions, etc.). You can leave your backpack on the bus while you are on the trip. On the river, you will encounter class II and III plus rapids, as well as some introductory rapids. Some rapids are technical, so our expert guides will scout ahead and indicate appropriate directions and commands. Also, there will be an additional guide in a Kayac to ensure your safety. Finally, you will arrive at the end of the rafting section. This trip is known to be full of fun, with lots of adrenaline pumpers along the way. You will have a great picnic lunch with hot and cold drinks, right there in the middle of the small village or near the river while enjoying fantastic landscapes of the Peruvian Andes. For thousands of years, man has dreamt about flying…. Have you read that sort of thing a few times before? Welcome to the exhilarating sport of paragliding (known as parapente in many countries) over the Sacred Valley of the Incas. Be amazed of the idea that what you can experiment in a real aircraft can just be equally induces by a stuffed backpack that you can take anywhere, anyhow, at any time. At 08:00 am, we will begin our trip to Chinchero. You must get up early this day in order to have a great paragliding experience because we have to catch the rising thermals wafting up the valley walls. As well, we might see some condors during that time. In Chinchero, the guide will give you some instructions, talk about weather conditions and demonstrate the equipment. We prepare the parapent and practice to run and land with it, first while jumping off little ledges of a meter, and then up to five or ten meters. Afterwards, at good weather conditions, we will finally take off and enjoy our paragliding tandem flight. We come home at noon when the good winds die. This is not only an alternative to the Inca Trail, it is also the most original and extensively travelled of all the existing paths. The Inca Jungle trail is more recently discovered which leads through the Jungle to the Inca Trail and finally to the sanctuary Machu Picchu. This trek can be done in either 3 or 4 days and is a combination of biking and hiking with breathtaking scenery – this is ideal for anyone with a sense of adventure and curiosity! We will pick you up at 07:50 am and then drive you through the stunning Sacred Valley, dropping you off at the 3200 meters high Abra Malaga. Here, you will put on the provided biking kit (gloves and helmet) and receive a 20 minute briefing by your tour guide. Then, the fun starts! We will be freewheeling down quiet but challenging roads past changing landscapes. You will not want to catch your breath until the first picnic stop in Alfamayo three hours from your starting point. Here, you will enjoy your lunch while taking in the panoramic view. After a quick change and a dab of insect repellent we continue onwards and downwards towards to Huamanmarca, a recently discovered archaeological Inca site where your tour guide will provide you with the historical background. You will then carry on descending to 1500 meters, where the edge of the jungle meets the small but charming town of Santa Maria. 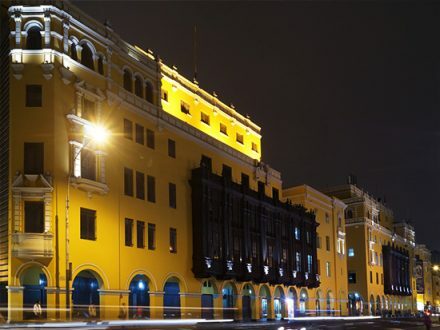 Here you can buy a snack or just rest your legs and enjoy a cold beer before enjoying a traditional Peruvian dinner. The accommodation is provided in form of a basic, family run hostel with either single, double or triple rooms. You will wake up around 06:30 am to the aroma of the finest indigenous coffee. After breakfast, we begin our trek. The path will progressively steepen until you arrive at a family restaurant in Santa Rosa where you’ll stop for refreshments. 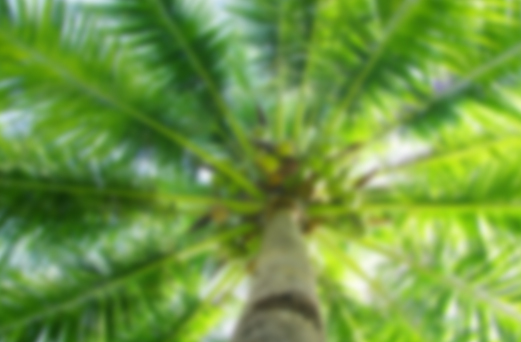 You will move on to a rest stop where you can lie in hammocks as you admire the surrounding coca plantations. Afterwards, you will continue on a short path to the original Inca Trai and trek along a path for just over two hours to the small town of Quellomayo. Here, you will stop for a well-deserved lunch. From Quellomayo, it’s just a short trek to Rio Vilcanota, which will lead you to the famous hot springs of Colcamayo. Here, you can enjoy the hot springs and relax your muscles in these natural settings. Then we carry on our hike to the town of Santa Teresa for dinner and then to your hostel where you get a good night’s rest after wading in the thermal baths. Today, you will wake up and have breakfast around 07:00 am. After that, we will first walk to Colpani while enjoying amazing views, and then continue our hike until we reach Hidroelectrica. Here, we will have lunch and afterwards hike for about two and a half hours to Aguas Calientes, the base town of Machu Picchu. We have dinner at a local restaurant before retiring us to our hostel with hot water and private bathrooms. Cola de Mono – South America’s highest zip lines! We will take our breakfast very early in the morning. Then we start our last day, climbing up to the entrance of the famous Inca Citadel Machu Picchu, the Lost City of the Incas. Avoiding the crowds, you will be one of the first visitors of the day. Machu Picchu is the best known of all the Inca ruins, as it is recognized worldwide as one of the world wonders, yet it is not mentioned in any of the writings of the Spanish Conquistadors. Presumably, it was constructed around the mid-15th century and was rediscovered by American historian Hiram Bingham in 1911. Your bilingual tour guide will take you around the vast ruins for about 3 hours, comprehensively explaining its historical significance during the Inca Empire. It will be an unforgettable experience, visiting the Main Square, the Royal Quarters, the Temple of the Three Windows, the Circular Towers, the Sacred Sun Dial and the Burial Grounds! 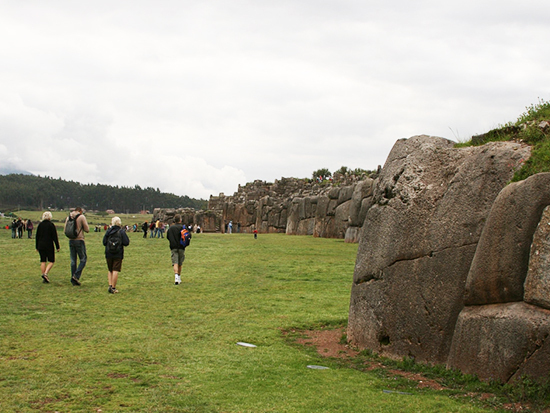 After this, you will have some free time to walk around and explore the Inca Citadel on your own. Later on, you can hike up Huayna Picchu from where you will have stunning views over the whole complex! However, there are only 400 entrance tickets per day, so please let us know in advance if you would like to hike the mountain so we can reserve your hike at an additional cost of US$ 10.00. Due Huayna Pucchu is very fast oversold, we are offering the hike of the Machu Picchu Mountain as a second option. The advantage of this hike is that it’s less crowed, but not less beautiful. The cost fot this climb is also US$ 10.00 per person. 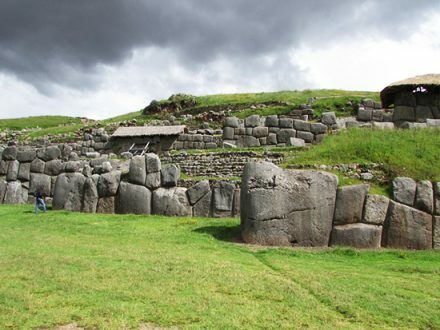 Optional, you can do unguided walks to the Inti Punku (duration 1 hour) or the Sun Gate, the traditional end of the Inca Trail, which will take you 45 minutes. Otherwise simply relax and take in the inspiring atmosphere. After your free time, you walk down to Aguas Calientes to have a late lunch or a dip in the hot springs (not included). In the afternoon at 18:20 pm or 19:00 pm, you take the train back to Ollantaytambo and then get the tourist bus to Cusco. According to your flight or bus schedule, we will give you a free walking tour around the city of Cusco. You will discover the enigma of this city and at the same time do some souvenir shopping. Afterwards, we will transfer you to the airport or bus station. * Extra night in Aguas Calientes in case you don’t want spend a night in Cusco (on double occupancy, you have to book it in advance to organise your train ticket for the following day). Warm clothes for the early morning and evening. Single passenger pays +US$ 25.00 for the private service at the Paragliding. We can change the Rafting tour for any other day, except the first or the last.